Mere days after the release of Adobe's Creative Cloud suite, pirates have already marred the launch of the company's exclusively subscription-based apps. Magnet links for at least two versions of Adobe Photoshop CC (Creative Cloud) 14 for Windows are circulating on the Pirate Bay, as well as copies of Dreamweaver CC 13 and Adobe Illustrator CC 17. No doubt, pirates are also hard at work cracking the rest of the Creative Cloud suite, which includes popular apps for graphic artists and image editing professionals such as After Effects and Illustrator. Pirated Mac versions of Adobe's apps have yet to appear online. Adobe tells TechHive it has no comment at this time, but the company is looking into the reports of Creative Cloud piracy. The idea behind Creative Cloud is very similar to Microsoft's approach with Office 2013 and the new Office 365 Home Premium subscription offering. 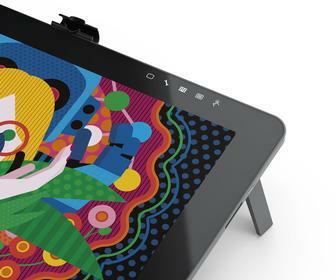 Users pay a monthly or yearly subscription fee for the right to access the latest versions of Adobe's creative suite. Unlike Office, however, Adobe announced in May that it would go exclusively with subscription software and dump so-called boxed versions--one-time purchases with no additional fees or upgrade rights to newer versions. Along with Microsoft Windows and Office, Adobe's creative applications frequently top any list of the most frequently pirated software around the world. The assumption with Creative Cloud is that it would be much harder to pirate and that the $50 monthly fee for Creative Cloud would encourage pirates to fork over the dough for legitimate versions. "One of the things we noticed when we switched to [Creative Cloud] is that people who never bought software from Adobe--some as pirated software before--now know that they can afford it." Adobe's digital media chief David Wadhwani told TechHive's IDG colleagues in Sweden (link in Swedish) in May. Even with cheaper software, however, it seems pirates are still willing to crack open Adobe's popular application suite. But whether the pirates will succeed in the long term is still unknown. While Adobe's Creative Cloud suite can be used offline (a benefit these cracks take advantage of), the Creative Cloud apps also need to ping Adobe's servers at least once every 30 days for monthly subscribers and once every 99 days for people paying annually. It's not yet clear if the hacked Creative Cloud applications would survive validation attempts or if they even require pinging Adobe's servers anymore, and you'll also want to note that using Adobe's apps offline removes the ability to use their vaunted new cloud-connected features. Downloading Creative Cloud apps via magnet links on the Pirate Bay and other torrent sites may be enticing for those who can't afford official versions. However, Adobe apps are not only famous for being cracked, but also for being cracked and then loaded with malware, as happened in 2009 with the Mac version of Photoshop CS4. 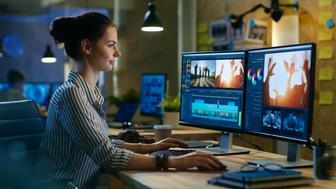 While piracy may soon be rampant with Creative Cloud apps, Adobe says it is seeing success with its new subscription-only approach. The company recently said it added another 221,000 subscribers for a total of 700,000 Creative Cloud customers as of Wednesday. Updated at 10:24 a.m. PT with a comment from Adobe.